Welcome, fall! Cool, crisp air and changing leaves. Baked goods and cozy sweaters. Many would declare this to be their favorite season in northeast Ohio. Here at Array, we love fall for its’ seasonal packaging! Pumpkins, candy corn and monsters are everywhere! Everything from coffee and snacks to home goods are embracing the holidays and standing out on shelf with dynamic, eye-catching packages. Often times, product packaging is a consumer’s first impression of a brand. Many successful companies change their packaging based on the season in order to keep their look fresh and distinctive. Doing so offers a great opportunity to connect with consumers in a very engaging and significant way. Companies use this repackaging technique to boost sales during the holidays as well. At times, the shift can overtake the strength of a brand and potentially weaken brand equity. However, brands like Starbucks and Nabisco do a tremendous job of weaving seasonal trends into their overall branding strategy to the point of creating a buzz among consumers. Has anyone had a PSL lately? Starbuck’s Pumpkin Spice Latte is so popular, it has it’s own acronym! 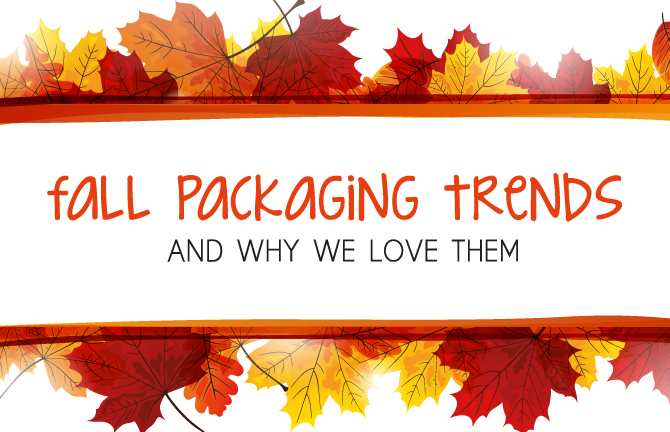 There are a few significant considerations to be made when designing successful seasonal packaging. Building a story around the product can easily play on the brand’s core strengths. M&M’s uses their candy characters to build fanfare around these seasonal campaigns. The product itself changes with the holidays as well. Orange M&M’s and Oreo’s are a festive way for these brands to show their fun, innovative side. Special occasions most certainly provide opportunity for brands to put aside their typical limitations and create something fun and unique. Driving profit is a key motivator, but creating a personality and enhancing value are what builds that connection with consumers.